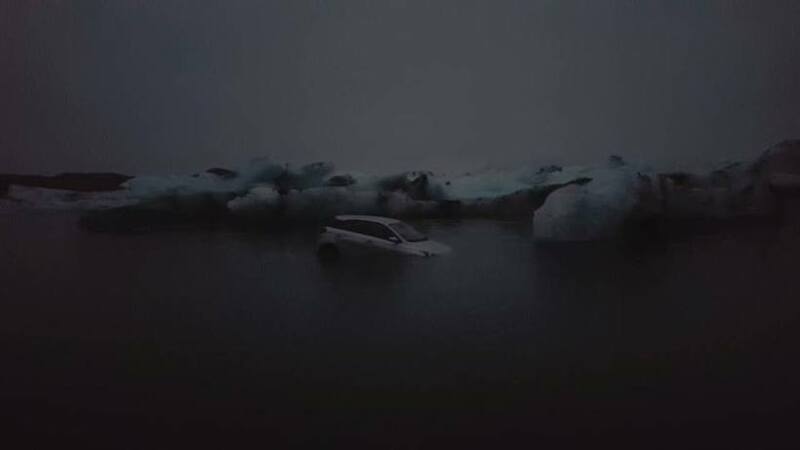 Tourists at Iceland’s iconic Jökulsárlón glacier lagoon yesterday evening looked on agog as a passenger vehicle spontaneously sprang into motion and careered into the icy waters. 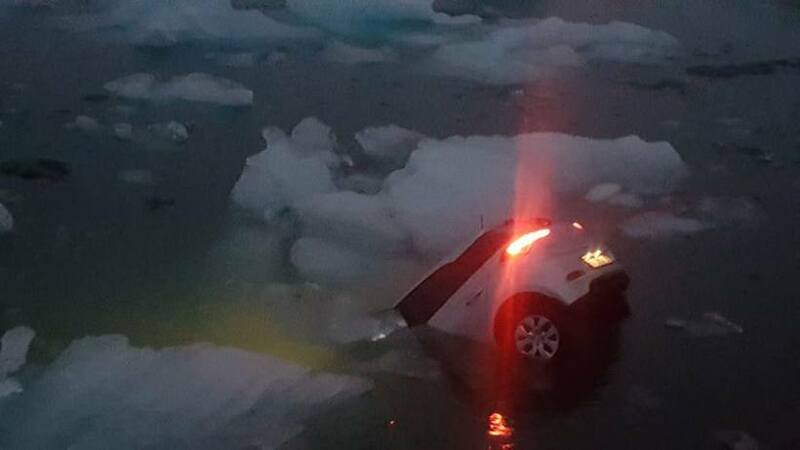 The car plunged into the water and began to float. Amazed visitors began asking whether it was their car and, most importantly, whether there were any passengers trapped in the vehicle – which it transpired there wasn’t. 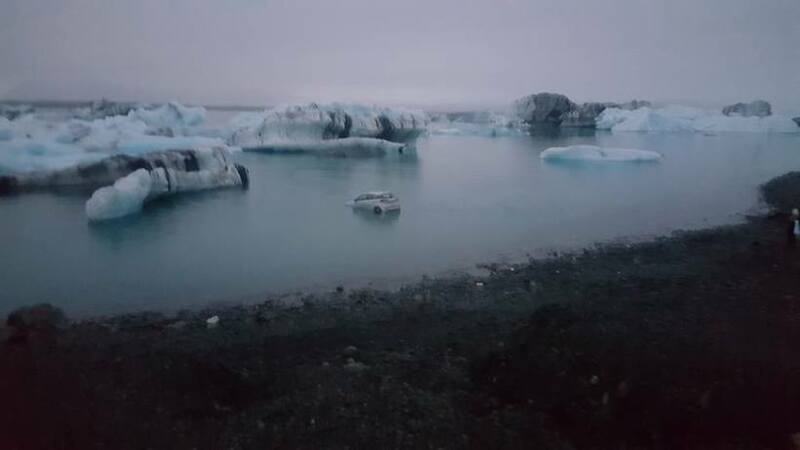 The car bobbed up and down on the surface of the water for a while before sinking. The driver of the car declared that he was positive that he had engaged the car’s handbrake before leaving it and the car had been parked for some time before suddenly moving off. In an attempt to raise people’s spirits after it emerged that no passengers had been in the car, Jónasson joked that the car park had a ‘handbrake ghost’ who was playing a trick. “Similar incidents have occurred here twice in the last ten years,” he added.